For BATI Shipping & Trading every transformer counts, even those as small as 1-ton or those as big as 300; BATI has shipped more than fifty transformers out of Turkey this and has already received 5 further shipments for shipping in 2019. A spokesperson from BATI says they are proud to deliver these significant and valuable cargoes to their final locations. The last transformer BATI worked on was medium-sized and was delivered from Turkey to Armenia. The cargo weighed 100 t and measured at a volume of 215 cbm. This port-to-door transportation was executed by low bed trailer and it was routed via Georgia. The mountain roads constituted the biggest challenge in this operation, but due to BATI’s supplier evaluation it was completed successfully. An M/V Rolldock Star came to Turkey for a jack-up barge loading operation. 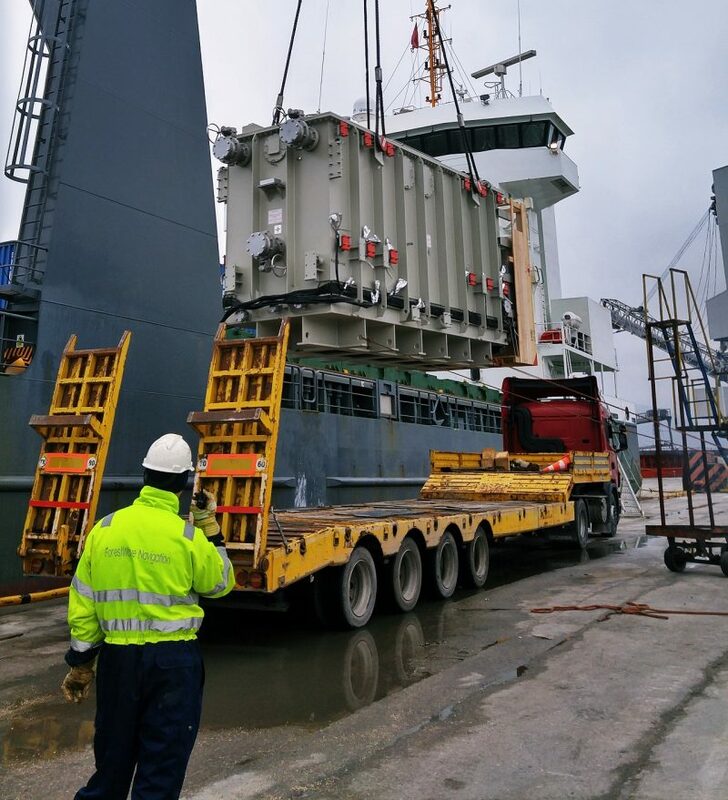 The vessel arrived in Istanbul for the float-in operation to load a jack up barge which weighed 934 t.
The operation itself proved a challenge to the BATI Group, but thanks to the assistance of the Rolldock Engineering Group, the process ran smooth & safe. After the Rolldock vessel arrived, it was navigated to the anchorage area and started submerging. While it was submerging, the team at BATI positioned the barge for a float-in operation and they managed to float in the barge within the estimated time frame. The lashing of the barge took another 6 hours, securing everything in position and preparing the vessel for sailing. This secondary operation lasted a day, including the lashing time of the Rolldock Vessel.